When you come to college, you know that your life is about to majorly change. Many of us are living on our own for the first time. For those of us who come to the University of New Hampshire from other states or countries, this may be the farthest from home that we have ever been. No matter the situation, college is an adventure and will change your life. And the best way to make the best of this adventure is to have a bucket list. Come up with some “Must Do” activities and events that will help you take advantage of all UNH has to offer. As a senior (yikes!) I’ve had three years already to see the best of what this school has to offer but still have a few things to check off my list. So here’s some UNH Must Dos for Freshmen and Seniors alike! In case you haven’t seen yet, we Wildcats get pretty into our sports and the events that surround them. So don’t miss out on these three items to check off your list! Hockey is a favorite at UNH and everyone should go to at least one game a year. The student section is the place to be Friday and Saturday evenings and you don’t want to miss out these game days. Thanks to the Cat Pack Captains, the students are led through an amazingly energetic set of chants and traditions that are really what make going to these games so fun. You’ll be on the edge of your seat the whole game (actually you’ll be standing because that’s how we do it in Wildcat Country!) thanks to the energy brought to the section with the help of a cowbell and a dead fish. Don’t know what I mean? Go to a game! Oh, and did I mention that we’re getting a new stadium? If that isn’t a draw, I don’t know what is! At UNH, it is pretty obvious that Men’s Hockey and Football are the most popular. None of the other sports have lines for tickets starting at 5am (or earlier) for their major rivalry games. But that doesn’t mean that they should be ignored. As Coach Herrion said at this year’s Cat Pack Welcome Rally, “Get involved, don’t just sit in your dorm. Make an impact! … You can’t put a price tag on school pride!” Personally, with that in mind, I’m planning on going to at least one basketball game. So pick a sport and see what all of the other sports (Women’s Hockey, Gymnastics, Volleyball, just to name a few) have to offer! We’re very lucky to have such great transportation options to get us around campus and beyond. Don’t believe me on that, here’s my proof: example 1, example 2, example 3, and example 4. So take advantage of the transportation we have and go and explore! There are so many great shops and places to hang out in Downtown Portsmouth that after one visit you’ll probably start making excuses to go and visit all the time. Personally, when it comes to this item of the bucket list, I’m planning on making the most of the free movie tickets at The Music Hall! While you’re on campus you might as well see the best of what Durham has to offer. Get a hot cider from Breaking New Grounds in the fall. Stop by Thai Smile for some delicious cuisine. Get something for your sweet tooth at the Candy Bar. While small, Durham has something for just about everyone! We’re very lucky to have an Amtak stop right here on campus. So why not take advantage of it? Hop on the Downeaster and spend the day walking around Boston and enjoying the sites. On a tight budget? No problem! 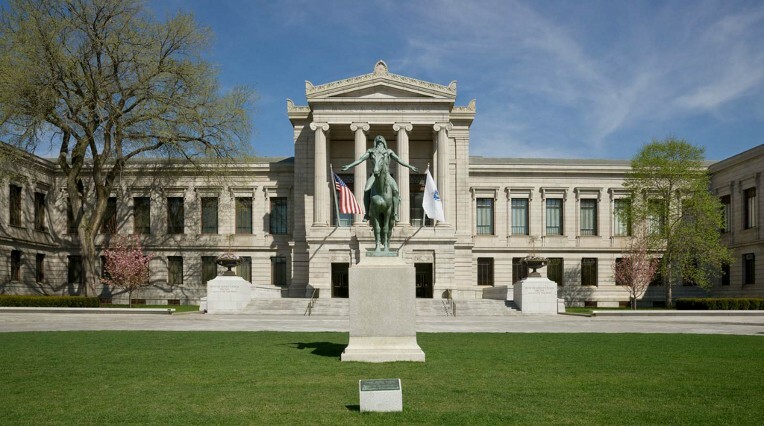 With your student ID you get into the MFA for free plus you get 10% off in the gift shops—pretty sweet, right? You also get discounted entry at locations like the New England Aquarium with your ID, so don’t forget it! Not looking to spend the day in the city? Head north of campus! Seasonally, the Downeaster makes stops at Old Orchard Beach (May 4- through October) giving you the perfect beach day trip if you don’t have a car on campus to head over to Hampton. You could even go further up to Portland, Freeport, and Brunswick. So make the most of this great resource and explore the Northern New England Area! These are some of my favorite events during the Fall semester and this year is no different, especially when the movies are Pitch Perfect 2 (September 11 at 9pm) and Ferris Bueller’s Day Off (September 18 at 9pm)! So pack up some blankets, throw on your favorite UNH sweater, make some popcorn and head on over to the Great Lawn for a night of great movies! Plus they’re free! If you haven’t done this yet, do it. It is a must do for any and all Wildcats. Plus, if you tag it with #InstaUNH you may just get to be UNHSocial’s featured Instagram photo of the week! There is always something fun and exciting to do at the MUB. Whether this is your first year at UNH or your last, there is always something new to try. So pick an event each month, or each week if you’re feeling like challenging yourself, and head over to the MUB. I’ve always been a big fan of the MUB lectures and stress relief nights and would highly recommend those if you need a place to start. This has been one of my favorite Fall events for the last two years. Maybe that’s because Homecoming and my birthday were always the same weekend and I had “Happy Birthday” sung to me last year during the parade. But it is always so much fun to be a part of the parade, to work with your dorm to create a great banner or float, and walk around campus before heading to the football stadium for an afternoon of excitement. If you haven’t participated before, do it and check it off your UNH bucket list. This is just a small sample of many of the amazing things that, as a Wildcat, you just have to do– even if you only do them once. My personal senior year bucket list is forty items long and that’s probably going to be a bit of a challenge. So have fun with it and make it yours. Your UNH experience is what YOU make of it so make it the best you can!